Oslo, Norway - 28 June 2015 - Aidan Dawson from Garingal will be representing Australia in the Junior World Orienteering Championships which will be held next week in Norway. The carnival is being held at Rauland which is skiing country near Oslo. Aidan has been in fine form over the last year. We are really looking forward to Aidan competing, particularly in the sprint event where we think Aidan will give the scandanavians a run for their money. You can catch further information about the carnival and track Aidan's progress on the JWOC website. The carnival starts with the sprint next Sunday, 5 July 2015. NSW Junior Representative Team - while on the topic of representative honours, congratulations to the 9 Garingal juniors who were selected for the State Schools team to compete in the Australian Schools Championships in Ballarat in October. The Garingal juniors selected were Toby Wilson, Alex Kennedy, Tom Kennedy, Melissa Annetts, Daniel Hill, Hugh Gingell, Ellen Currie, Duncan Currie and Joanna Hill. What a fabulous effort from our juniors! Well done and congratulations. Moonlight Madness - is back on with the third event for the year on Wednesday at Belrose with starts from 5:30 to 7:15pm. Further information. MetrOleague - the metrOleague is well progressed with 4 rounds having been held already. Amazing how quickly the year is slipping by. The North Sydney Boys High School juniors have fielded a team for Garingal and are competing extremely well with impressive results in the GO Legless teams from Angus Leung, Terence Chiang, Lewis Redner, Jonathan Koruga and Justin Brown. The GO Dragons team in second division is currently undefeated for the year. 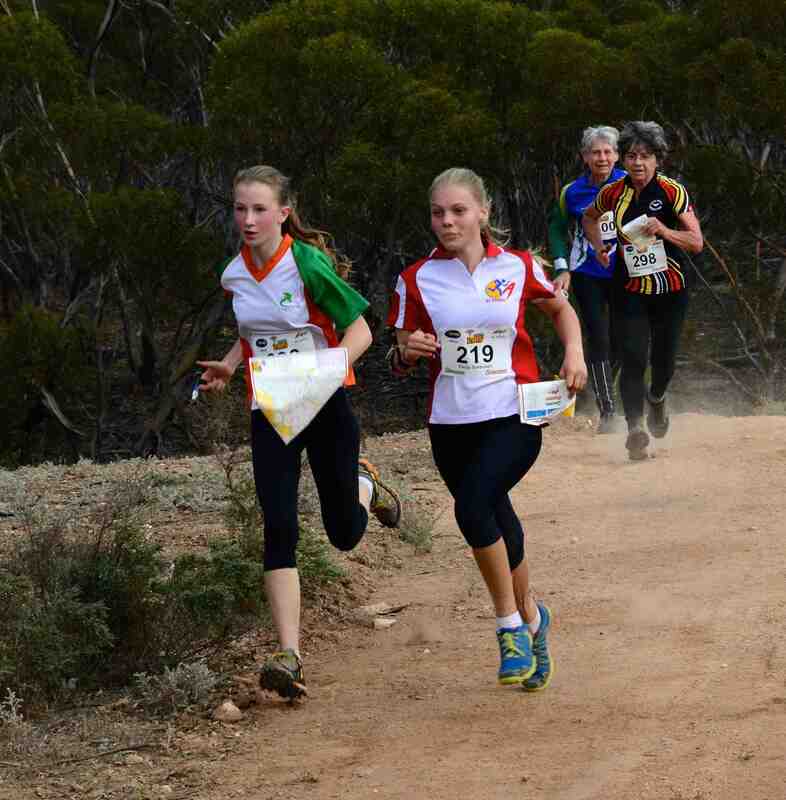 Sunday, 4 April 2015 - Hallett, South Australia - the main national orienteering carnival for the year, the Australian 3 Days, was held in South Australia over the Easter break. As the name suggests, the carnival is 3 days of races with each race counting for the overall time score over the 3 days. For the elites, a "prologue" on Good Friday also contributes to the score so for the stars it is actually 4 days. The location of the events was in open rocky country with mallee trees broken up with open paddocks. 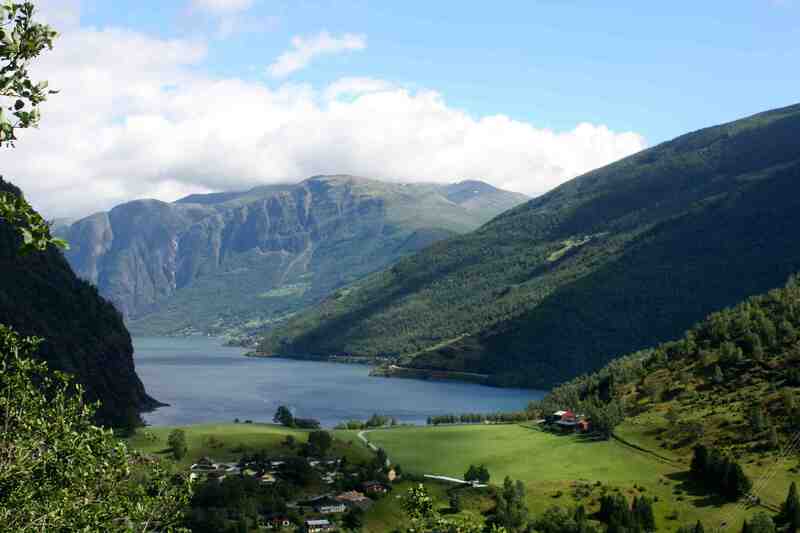 The terrain included some deep erosion gullies, flat areas and the occasional steep hill. The race times were fast with the top competitors running 5 minutes per km through the terrain. 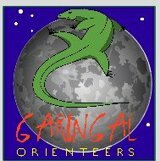 Garingal was well represented at the carnival with the Schafers, Curries, Junghans, Dawsons, Merchant, Barrs, Hills, Wilsons, Peterson, Gingells, Herkes and Andersons attending. There were around 660 entrants in the carnival. The carnival is the main selection event for the Australian 17-20 junior team to compete in the Junior World Championships in Norway in July. Garingal had 3 contenders in the selection races, Aidan Dawson, Daniel Hill and Toby Wilson. All 3 raced very well with Aidan finishing the overall carnival in 3rd place and Daniel finishing in 10th place. Toby unluckily had punched a nearby control in the sprint on day 1 which put him out of overall contention, but he pressed on to run well over the next 3 days with great result on the long course on the Sunday. Aidan raced consistently fast over the carnival with the critical moment being a sensationally good 2nd placing in the signature long distance event on the Sunday. There are 6 places in the JWOC team. Aidan's efforts were rewarded with a well deserved selection in the Australia JWOC team for Norway. We congratulate all 3 boys on their efforts and training throughout the year, and particularly Aidan for selection in the Australian team. Christa and Neil Schafer recorded 2nd placings in their respective divisions, Dean Gingell was placed 3rd in the Open B course, Jim Merchant 4th in M70A, Barbara Hill 4th in W45A and Duncan Currie was 5th in a hotly competitive M16A class. Photos from the carnival. Overall results.